For a long time, it felt like Batman and Superman were the only DC Comics characters destined for real mainstream success. Sure, other heroes had their own movies over the years – Supergirl, Swamp Thing, and THAT Catwoman flick – but it’s only in the past decade that more obscure characters have been given their chance to shine. Green Arrow is now in his own hit TV series (no longer riding Superman’s coattails in Smallville), as is the Flash, Supergirl, and the likes of the Atom and Firestorm. Harley Quinn will be getting her own animated series soon, and Krypton will delve into the history of Superman’s homeworld. That’s not to mention movies like Suicide Squad and Justice League bringing figures like Aquaman, Harley Quinn, Deadshot, Cyborg, and Killer Croc to the big screen for the first time. While not perfect (or, in some cases, even as beloved as DC themselves might have liked), these adaptations have nevertheless brought less-recognisable heroes and villains to greater attention. Still, what about all the video games DC Comics should be bringing to the market? Watching your favourite heroes go toe-to-toe with their rogues galleries is all well and good, but getting to don their capes / cowls / whatever in a virtual world lets you actually become them for a while. A mobile tie-in game was released along with the 2016 Suicide Squad movie, and it was actually pretty good (possibly more well-liked than the film itself), but this comic-book has huge potential as a major video game. 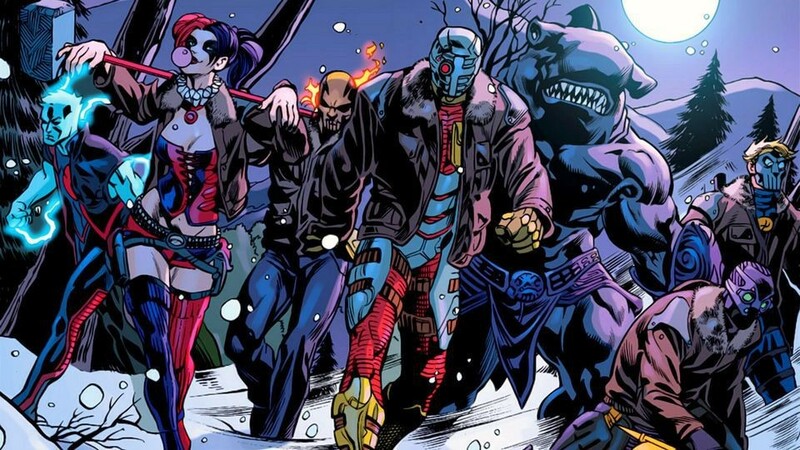 The line-up has changed over the years, which would give a game plenty of scope: you could build your own squad from a roster of characters like Deadshot, Harley Quinn, El Diablo, King Shark, Captain Boomerang, Killer Frost, Black Spider, and many others. A system like X-Men Legends would work well, with different combinations bringing power-ups and advantages. The diverse cast would give you a great mix of abilities and personalities, from El Diablo frying enemies to King Shark … well, eating them. Harley Quinn could pack her mallet and guns, while Captain Boomerang would have all kinds of boomerang-based tricks to explore. This would work best as a third-person mission-based adventure, enabling you to choose from a number of different tactics for each assignment and switch between your team-members at will; specific characters would be able to solve puzzles or overcome obstacles, so you’d have to choose wisely..
Aquaman might be a tricky character to get right on-screen, but his skills and his world make him a terrific choice for a vast underwater RPG. 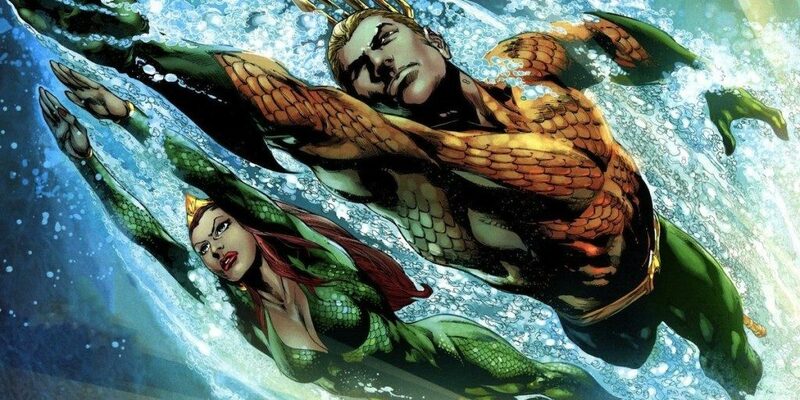 You could venture up to the surface from time to time, perhaps to get involved with other figures from the DC Comics universe, confront enemies, and more. Wonder Woman might have featured in a decent number of video games, but she’s yet to star in a solo title. Given her current boost in popularity, courtesy of Patty Jenkins’ hit movie, surely it’s only a matter of time before she graces consoles in a big-budget game. Wonder Woman has everything she needs for a visceral, action-packed adventure game – super strength and agility, armour, that lasso, a sword and shield … ploughing through wave after wave of enemies would be a pleasure. Wonder Woman’s game could, like the recent movie, be set during WWI. This has proven to be a rich, dark setting for first-person shooters, and it’d be fascinating to see how it could be applied to a superhero game. The structure would work well as either a linear or open-world adventure, with Diana taking on missions at will while tackling side-quests. Having this larger-than-life character contrasted with the action in muddy, blood-soaked trenches would be a neat change of pace to the DC Comics games we tend to see (which primarily consists of Injustice and the Arkham games). 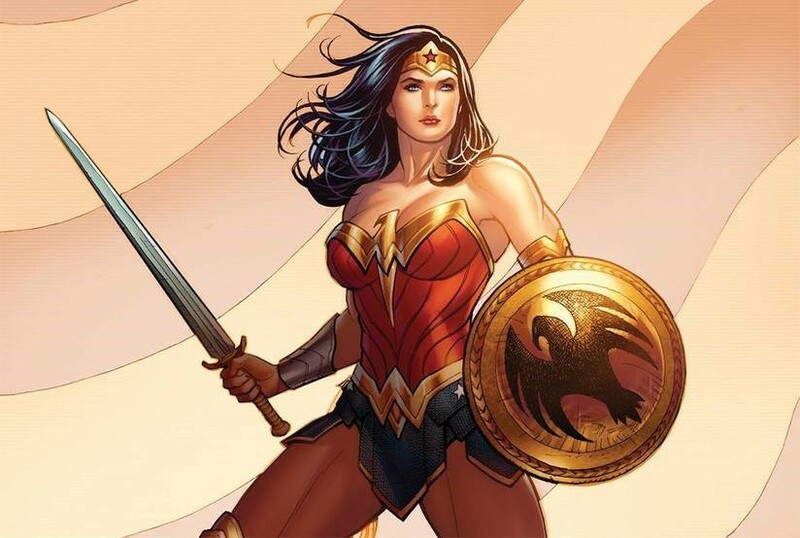 Alternatively, she could be caught up in a global conflict of a different kind altogether, forced to travel the world and battle other armies (either alongside fellow heroes or alone).It could even be about an attempted invasion of Themyscira, and Diana leading the Amazonians against the enemy forces. Any scenario would be fine – just give us this awesome character we want to play as! Superman video games tend to be restricted to Metropolis, which makes sense given that he lives and works there. Still, let’s not forget: the character’s gifted with flight and has gone off-Earth countless times in his comic-book history. He’s travelled to other worlds and helped avert space-based disasters, so why not incorporate this into a new game? Justice League Heroes did, and they were some of its finest moments. 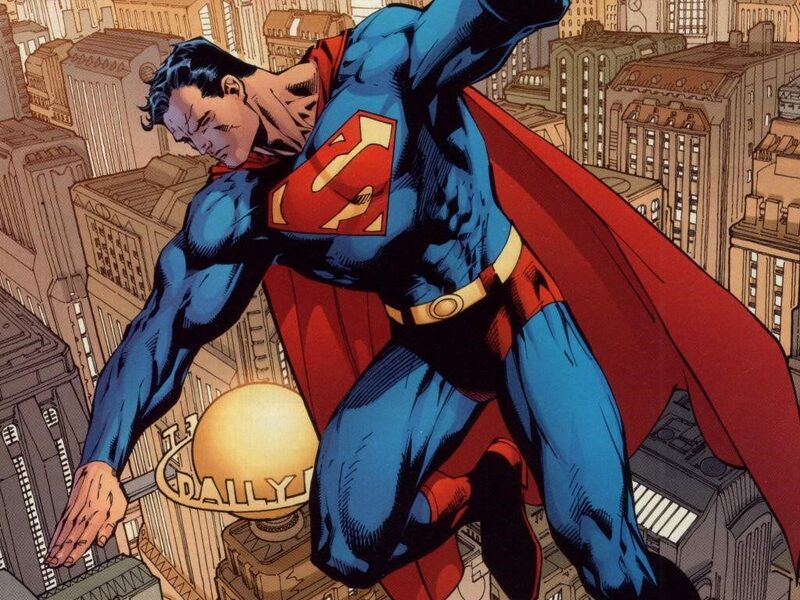 Metropolis could act as Superman’s hub, and would likely make up a chunk of the game, but Superman should be able to fly beyond our atmosphere and explore an (obviously small) portion of space. Perhaps Darkseid or a new race of aliens could launch an invasion on Earth, forcing Superman to fight them on their ships, possibly travelling to their own worlds to bring them down. His character has so many narrative possibilities, and it feels like previous games have only really scratched the surface. 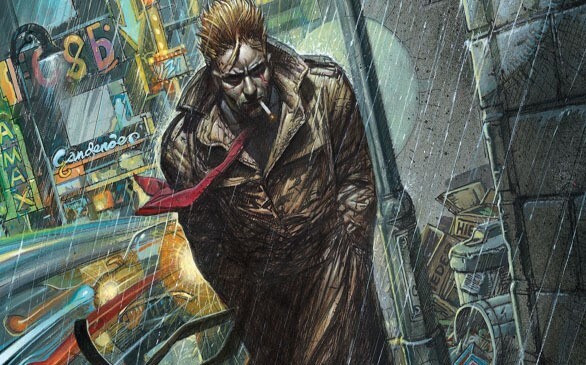 John Constantine is one of DC Comic’s most interesting characters, particularly in his early outings. Those first story arcs (published under DC’s Vertigo imprint in the late 80s) were beautifully dark and strange, far more so than the movie that helped bring him to a wider audience. That film made some odd choices, like making the blonde, average-looking, Sting-like Englishman into Keanu Reeves. It received a tie-in that was equally detached from the original comics, too, and failed to capture the character’s flavour. In recent years, Constantine has received a better live-action version, but he still has all the ingredients needed for a cutting-edge survival horror. Ideally, though 100 percent unlikely, a Constantine / Hellblazer game would be set in Britain, and see John getting involved in bizarre supernatural cases (perhaps one long storyline or a number of them, with Constantine effectively ‘for hire’). His knowledge of magic gives him the means to take on enemies, though he could also rely on more physical defences too. The game should have a similar punky attitude to those early Hellblazer stories and feature an appearance by Swamp Thing himself (after all, Constantine first appeared in the latter’s series). Demonic forces, murky British streets and slums, and no-holds-barred language would all contribute to a fantastic survival-horror game fans would lap up. Catwoman’s a joy to play as, when done right. Her solo sections really helped to make Arkham City a classic, while playing as her in Arkham Knight and Injustice was plenty of fun too. Considering how important she is to both Batman and the wider DC Comics universe, it’s pretty shocking that the last solo game she had was based on the Halle Berry movie so many of us try to pretend doesn’t exist. She’s a fantastic character with a terrific design and personality, with enough humour and skills to stand alone in an action game. Like Batman, Catwoman would be at home in a game mixing stealth, action, and exploration. Basically, we just need a longer, deeper version of her Arkham City sections. That’s it. Catwoman. Poison Ivy. Harley Quinn. Three of DC Comics’ heavy-hitters working together. Seeing Catwoman and Ivy spar during Arkham City was lots of fun, and the Gotham City Sirens game would allow for more of that great interplay – only with Harley thrown into the mix. The Gotham City Sirens comic series might have been fairly short-lived, but it has its fans and delivered a fresh take on Gotham’s most well-known villains / heroines. With a movie supposedly in the works, there’s perhaps a sliver of hope that a video game based on the trio’s antics, and there’s so much potential waiting to be tapped. Imagine taking on Gotham’s villains as either of the three, or all of them working together in a co-op situation – you could back each other up, take enemies down at the same time, and generally have a blast. Each has their own unique skill sets and personalities, so the game could have real character and incorporate diverse playing styles. 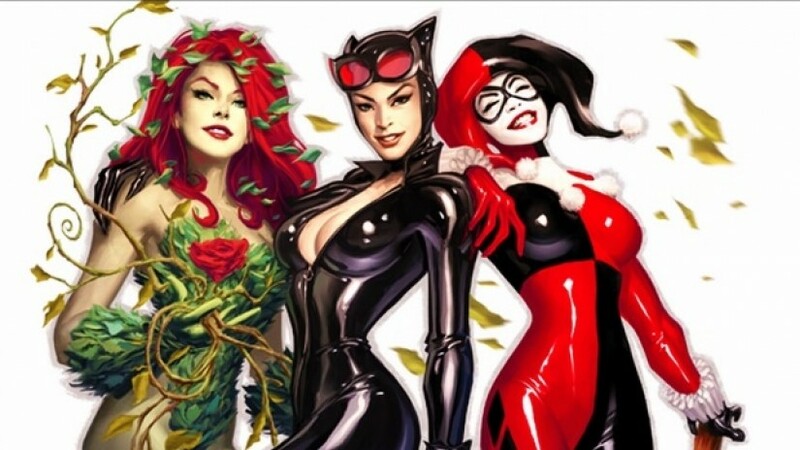 Let’s hope someone realises just what fun could be had, and brings Gotham City Sirens to consoles at some point in the near future. Which DC Comics characters do you want to see starring in their own new video games? Let us know!